Have an Idea in Mind? Let us shape it together! Get your Mobile Website Developed from WordSuccor Ltd. The latest review list for top 10 mobile development companies across the world by CrowdReviews.com has been published. In this list, WordSuccor Ltd. has secured its place amongst top 3 companies. As we all know that the survey made by CrowdReviews.com is genuinely based on the customer feedback and their experiences. So, having listed the name of WordSuccor Ltd. at number #2 position in the top mobile website development companies is actually a proud thing for the entire organization and the team. CrowdReviews.com is one of the most prestigious and highly trusted US-based online review platform that presents genuine reviews for helping software, mobile app or other website development clients to find the best vendors across the world. 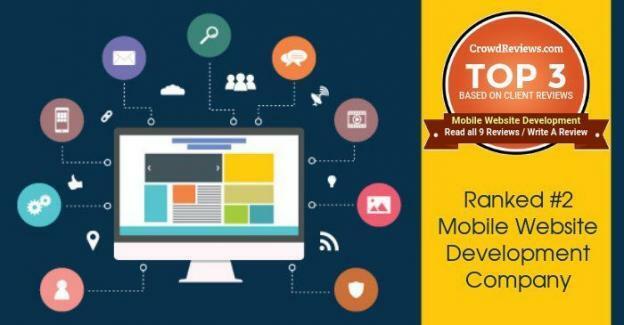 To discover or sort the best mobile website development companies out of numerous others, Crowd Reviews uses an in-depth research and specified analysis methodology that helps them finding companies which succeed in consistently delivering a superior performance of mobile website development services. This analysis is made of five different service analysis parameters like engagement strength, review strength, profile strength, reviewer strength and verified status. Know the best layout for your website to make it more responsive for mobile and desktop. Contact Us Now!! WordSuccor Ltd. is a renowned star-rated and reviewed mobile website development company headquartered in Elkhart, Indiana (USA). The company has employed a brilliant team of more than 45+ website developers who are well-versed with the latest market trends and have a spectacular creative approach by which they deliver reliable, safe and highly innovative mobile website solutions to our clients in the USA as well as other countries across the world. As of now, WordSuccor Ltd. enjoys the trust and confidence of thousands of customers worldwide.